Click on the links below to journey through more Sepia Saturday photos. 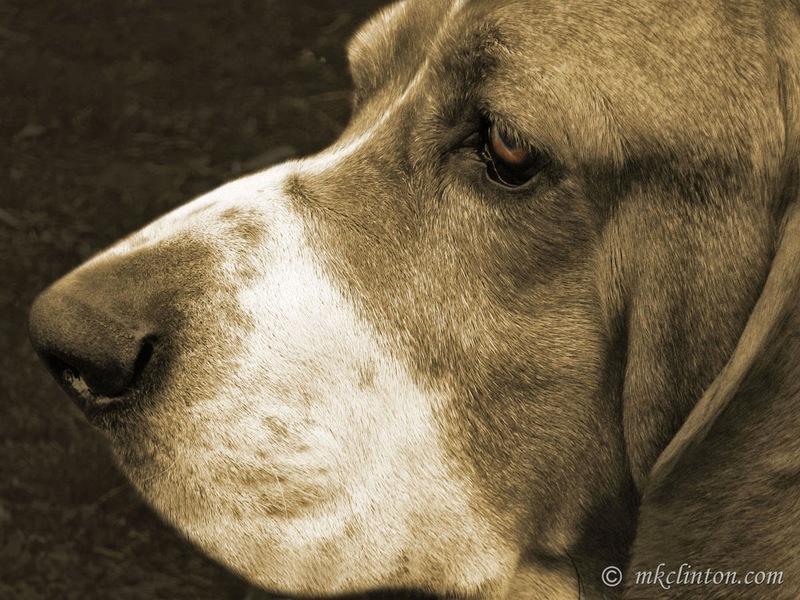 great sepia photo - and congrats on being featured pet blogger…. :) ~y. 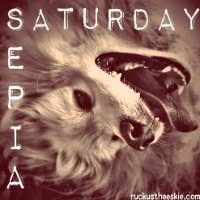 Have a Happy Sepia Saturday! Congrats! Love Bentley's profile picture. Have a great day. Bentley looks lovely in sepia. Congratulations on being featured on BlogPaws. Oh what a great shot of Bentley!!! He is making me fall in love with Bassets!!!! He is just so darn adorable!!!!! Congrats on being being featured!!!! Such a pawsome honor!!! That's great news! Being featured on BlogPaws is really an honor. Love that photo and congratulations again! Yes, always look reflective, Bentley. No one knows you're thinking up mischief. Congrats on being featured blog of the month. And congratulations on being featured! Love, love the picture and congrats for being featured blog of the month! Woo Hoo! That is awesome! Awesome job being the featured blogger of month, congrats! Beautiful picture of Bentley in sepia. Congrats on being Pet Blogger of the Month!! Congratulations!! That is so great, and I enjoyed learning a bit more about you there. I'm with Caren G too, I can't believe you are old enough to be married over 30 years....you look great! I also love this sepia photo of Bentley. I think a lot of the hound dogs look so great in sepia. YAY congrats you deserve it. My gosh that picture of Bentley is gorgeous. The sepia really brings out the sparkle in his eyes!